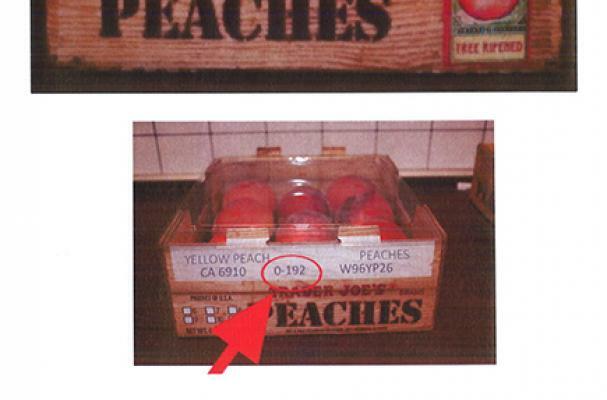 Wawano Packing company of Cutler, California has recalled specific lots of whole white and yellow peaches, nectarines-white and yellow, plums, and pluots that were packed between June 1, 2014 through July 12, 2014 due to the potential contamination of Listeria monocytogenes. Listeria can cause serious and sometime fatal infections in young children, frail or elderly, and those with a weakened immune system. Most at risk are pregnant women who can suffer miscarriage or stillbirth if infected. The recalled fruits were shipped directly to retailer and wholesalers. Because the location of the companies that purchased the fruit, there is a nationwide recall. Anyone who has the recalled fruit in their possession should not consume them and should discard them. Consumers who have questions should contact Wawona Packing at 1-888-232-9912, Monday through Friday, 8 am - 5 pm EST, or visit www.wawonapacking.com .